Today, August 18, marks the 90th anniversary of the ratification of the 19th Amendment to the United States Constitution. 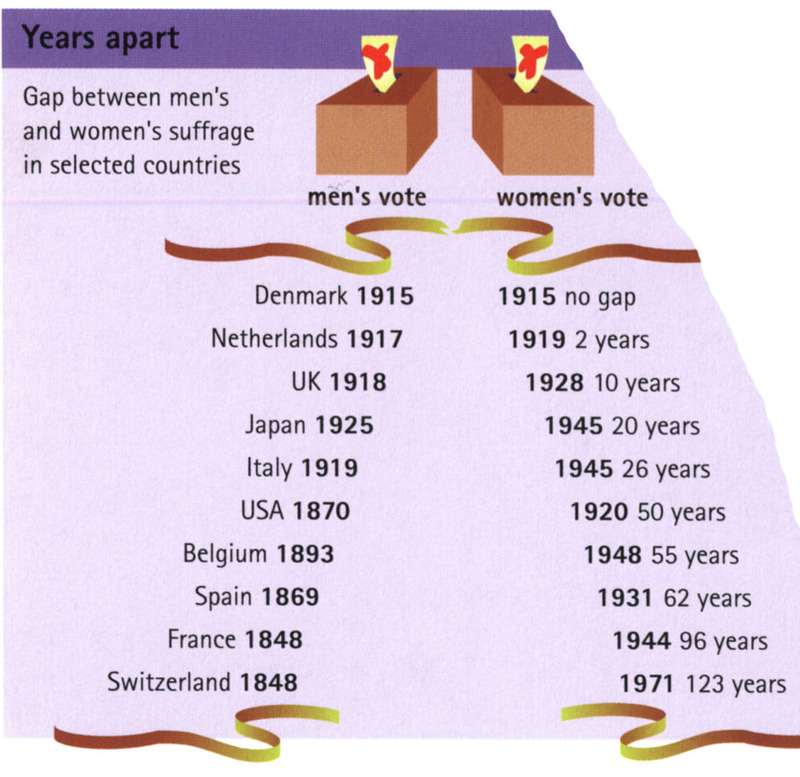 The amendment prohibited the state and federal government from denying any citizen the right to vote because of gender, thus giving many women in the United States the right to vote. Tennessee was the 36th state to ratify the 19th Amendment on August 18, 2010, and it was subsequently ratified by 12 other states. 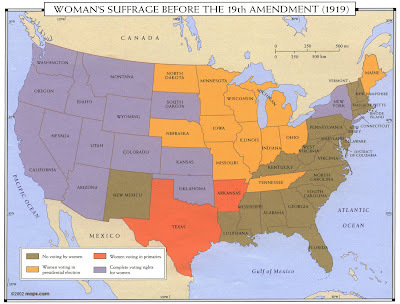 Mississippi ratified the 19th Amendment on March 22, 1984, after rejecting it in March of 1920. The map shown above (click to enlarge) depicts where women were allowed to vote in the United States prior to the 19th Amendment in 1919. The map is from the United States History Atlas available in the GRMC. 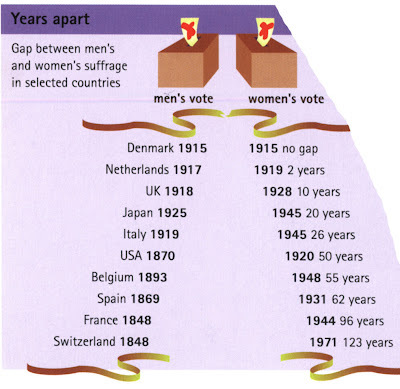 The chart shown is from The Penguin Atlas of Women in the World and displays the gap between men’s and women’s suffrage in selected countries around the world. For more information about maps, atlases, or other cartographic resources available from University Libraries, please contact the GRMC Monday through Friday from 8 a.m. to 5 p.m. at 765-285-1097.